Wriggle your fingers above the light-up glow of the Hackme Vectr, and you can control sounds in space. The results are good for spooky sonic exploration – a less-temperamental Theremin – and apparently have inspired sound lovers, because the project reached its first crowd-funding goal. Through Thursday morning, January 9, you can get your own Vectr for about US$299-325 (or a fancy special edition for $399), estimating shipping in May. The gesture sequencing is especially nice. It’s tougher to see exactly how much potential you get out of visual feedback; there are 36 individually-controlled LEDs, but they’re in a ring around the perimeter, so the grid of tiny holes you see simply allows light through the center panel. For now, Vectr is designed for analog control of modulars. 16-bit digital sensing data is translated to 0-8V trigger, position, and gate signals. There’s also cleverly input for syncing loops and toggling loops and position. The gadget gets more useful if other ideas are implemented later. Loop storage and recall, for instance, could be an enormous addition. 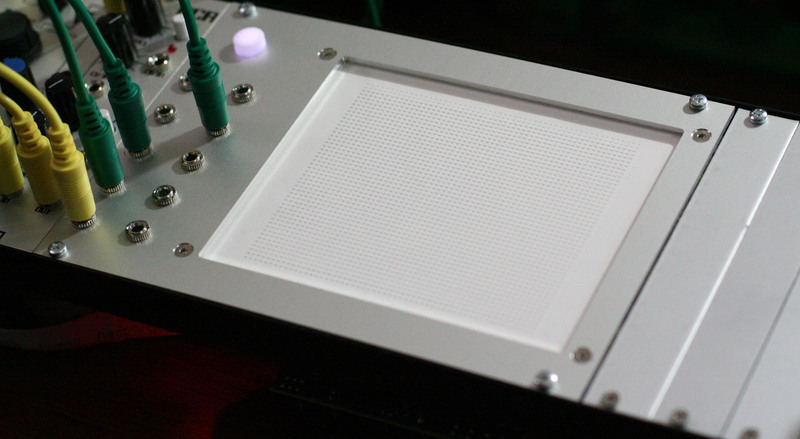 MIDI over USB is planned in an expansion module; filtering and synthesis are ideas, too. While the license is promised as CC-BY-SA, code or circuits haven’t been released yet. And you may recognize Chicagoan Matthew Heins from his previous creation, the Rockit analog/digital synth.